Learn about the GO CO2 FREE tool. 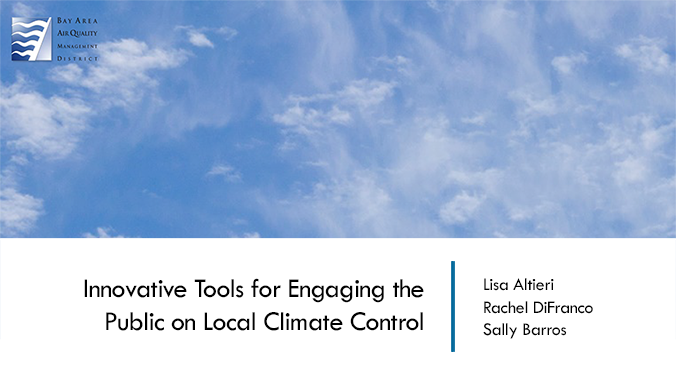 This recorded webinar showcases the GO CO2 FREE tool and its ability to engage the public on local climate action. The webinar demonstrates the tool's benefits to local governments and their residents, and explains how to participate and utilize the platform. Viewers also hear from the City of Fremont and City of San Leandro about their successful use of the tool and resulting engagement with residents.